I shared one of my favorite recipes with They Draw And Cook (TDAC) and I’m happy it was approved and being placed on their website. Check out their website for more delicious recipes and lovely illustrations. With a vegan dressing, based on soy yoghurt with fresh herbs, it’s very healthy and I love how the color of the beet root blends with the yoghurt. 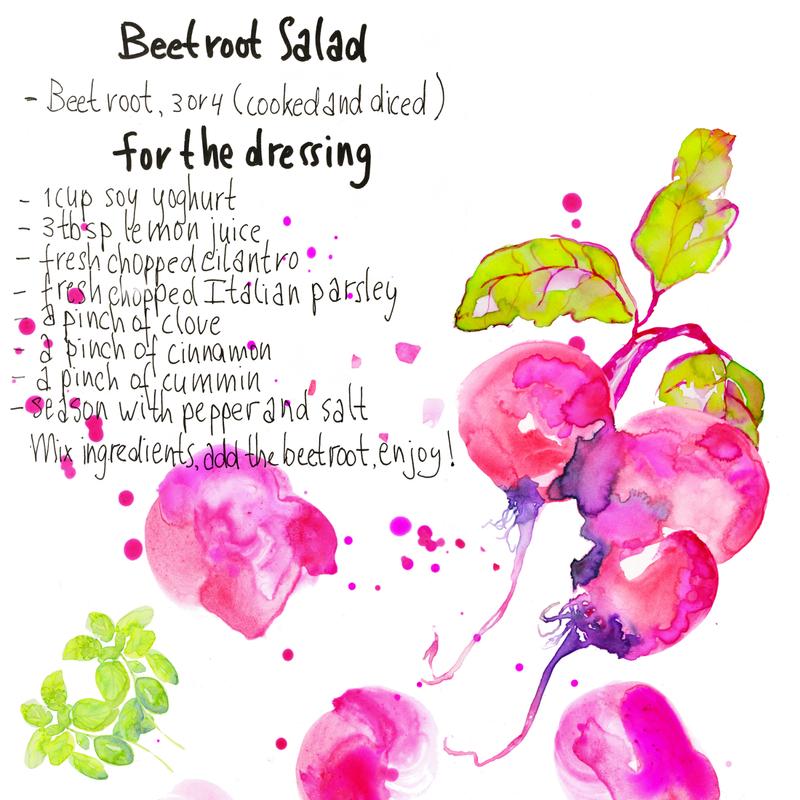 Mix ingredients for the dressing, add the beetroot and spoon it through, enjoy!